That saying has always bothered me. As seasoned Christians, we have all asked for many things in good faith. I have asked for more wealth, health, a bigger house, and for emotional pains to be taken away, among many other things. Sometimes I have received what I asked for and many times I have not. Faith in God answering our prayers does not mean he is going to give whatever we ask. He loves us way too much to do that. When my kids ask to play video games all the live-long day, I say no. Not because I am trying to ruin their lives (despite what they are thinking) but because I want them to have an abundant life. I want what is best for them. I want them to go outside and play basketball in the fresh air. I want them to bond with each other instead of a screen. They get so mad at me! Their 9-years-old-and-under little brains don’t comprehend the reason behind my no, no matter how many times I explain it all to them. It does to me. That’s how so many times I have reacted to an unanswered prayer. I know the truth behind those verses in Matthew and John, but my little human brain has the hardest time comprehending the reality of the Truth. Three weeks before I watched Breakthrough, I experienced my first miscarriage. This was one, if not the hardest, things I have had to go through in my life thus far. The complete heartache, sorrow so deep and physical pain in my heart is something many of us moms have had to suffer through. 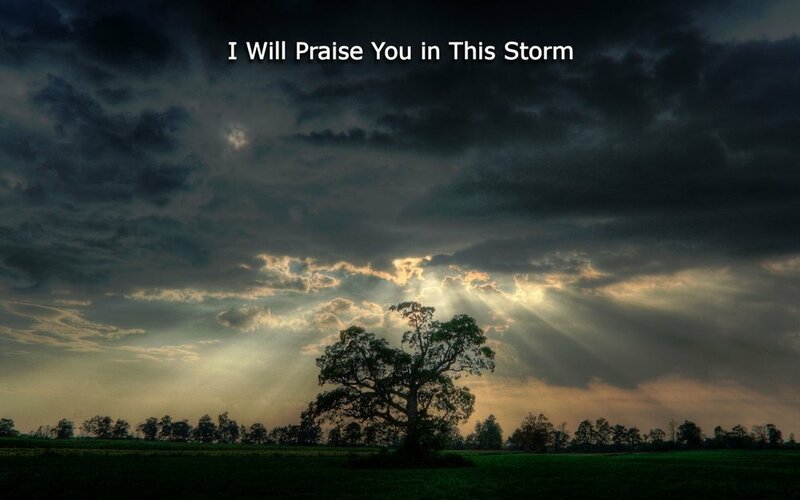 I walked out of the doctor’s office and made the walk of shame down the hall to check out and kept hearing, “I will praise you in this storm.” On the way to mass that evening, it was on replay in my thoughts: “I will praise you in this storm.” The song didn’t leave me for the next week. I thank God for that grace. It was like he wasn’t going to let me forget that my love for him is not based on positive results, or results that I have been begging him for. My love for him is based on who He is. And He is Good. No matter what the outcome of a situation turns out to be. Not everyone gets to come back from the dead. And God is still very, very Good. When you watch Breakthrough, take some time to reflect on your own life and the moments that you have turned away from God because he didn’t give you exactly what you asked for. Take time to reflect on the moments that everything has gone “wrong” and you still praised Him in that storm; and thank him for that enormous grace. Our God is so Good, we can’t even comprehend how Good he actually is, he is so Good! Please help us trust in you and praise you, no matter what the outcome of our prayers may be. We love you so much. This post first appeared on CatholicMom.com.